i now quite admire the japanese. after reading about japanese street style i googled and googled and here what i came up with! some quite odd photos . . .
and some really nice ones tooo. i now quite admire japanese street style. I saw all the street style on sea of Shoes and fell in love, its great and so original! I love the Japanese street styles. I love how the girls always looks so cute and adorable in whatever they wear! Oh, the Japanese are definitely quirky when it comes to style... even the guys (and I mean straight guys). I think they definitely take style as a form of self-expression and don't want to be deemed boring. Even though I wouldn't dress like the first two girls, I love seeing stuff like this! I love japanese street style, the outfits are hawt! love love L-O-V-E their style! 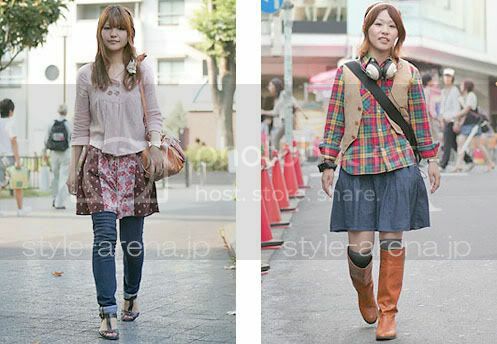 Thanks for visiting my blog :) I love how kooky japanese street style is, the can really do individuality. Its amazing! It really means a lot for me! 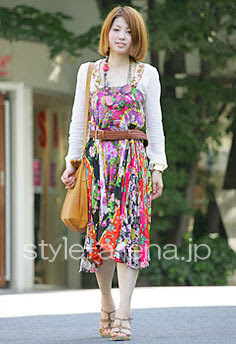 Japanese streetstyle is so colorfull! Street style from all over the world is always great! japanese street style is SO nuts (in the very best way). I love the photos you picked, especially the last three!! japanese style is definitely the best! Oh wow, that pink outfit! How bizarre! Wow m glad to see this fashion here.